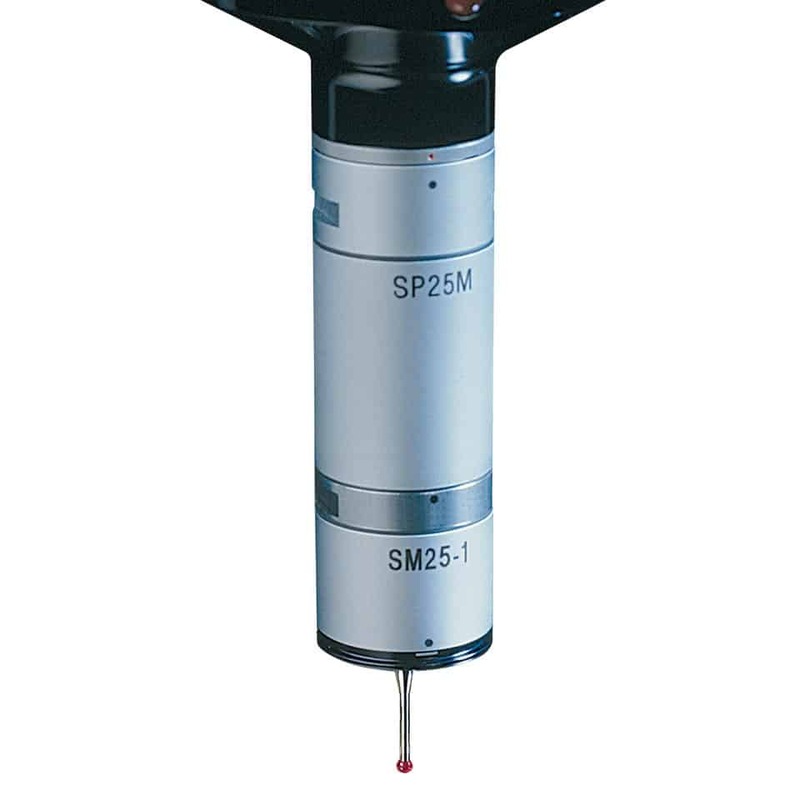 Add contact contouring capability to your SmartScope system with the SP25 Scanning Probe. Its easy to use start and end locator function instructs the probe to scan the component profile in-between the two selected points. The probe rapidly follows component contour, defining and collecting data points at a user-defined velocity and data sampling rate. With automatically adjusting point density when the probe is inspecting curved surfaces, both programming and measurement time is greatly reduced in comparison to conventional single point probing methods. Users are able to characterise parts efficiently by using video measurement for edges and the scanning probes for surface boundaries. For ultimate measurement capability and probing flexibility the scanning probe with a PH10 articulating head can be added.